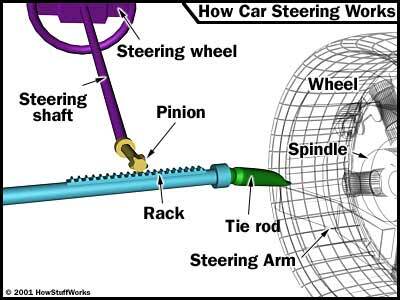 The steering rack is a vital part of any vehicle and is fairly detailed in design. Rack and pinion steering is common in most modern vehicles but before this technology was developed, a recirculating ball system dealt with steering turns. In summary, this involved a “worm” of recirculating ball bearings moving around in a box, allowing an arm to steer left or right. Typically these boxes were very tricky to repair and involved a huge amount of time and effort to do so. Technology advances meant that vehicles developed from this detailed setup to a more simple rack and pinion steering system. 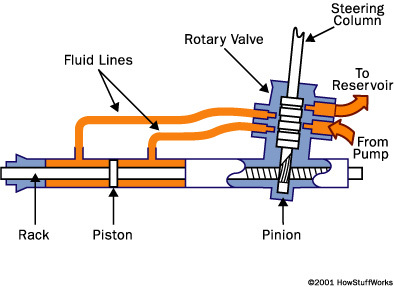 The pinion, round in shape, is connected to the end of the steering wheel shaft. When the steering wheel turns, the pinion turns. This then turns the rack, which is flat in shape, sending this left or right. The front wheels of a vehicle are connected to the rack, with the help of steering knuckles and tie-rods. This system is enclosed in its own housing and would be mounted to the vehicle, to its chassis. Like all moving parts, the rack and pinion will wear eventually and will need to be replaced. The tie-rods and rubber boots protecting the tie-rods first show signs of wear. They can be easily damaged and crack, allowing moisture and debris into the system and also allow the grease to escape. Once this happens, the wear of the rack and pinion system is more rapid. It is always important that, when the system is repaired, all tie-rods and rubber boots are replaced too, in order to protect the newly repaired rack and pinion. Not only is the rack and pinion technology an advance on the ball system but there is also the added bonus of power steering. Almost all new vehicles come with power steering as standard. This does cause added issues when replacing the rack and pinion system. When dealing with a rack replacement, check the power steering components. Checking for leaks from the hoses and power steering pressure would be the first port of call. It is important to fill the system with fresh power steering fluid when making any rack replacement or repair so as to avoid any dirt entering the new rack and possibly you will need to bleed the system also. When making any repairs to vehicles, always follow procedure and ensure you put safety first. Simple, front- line components such as tie-rods and ball joints play a vital roll in ensuring the car is safe and cost little to replace. Ensuring that these parts are maintained, in turn, ensures that the more expensive and larger parts of the car last longer. Having the right tools for the job also ensures that the quality of the work is kept high. New car sales for 2012 are on the up. However that cannot be said for the van market which has seen a huge decrease this year, particularly in April, with new van registrations seeing a slide to 14,508 units, nearly 20 per cent lower than the figure seen for the same period last year. Pick-ups and sub 2 litre vans are the worst affected out of all of the categories, with only 4×4’s showing a slight rise. 2011 was a good year for van sales which could account for some of this years slow performance, however there are a number of new sophisticated and technologically enhanced vehicles due to hit the market by storm in the near future which will be important for the sectors growth. Ford remains on top of the market as leader in this sector, followed by Volkswagen, with Vauxhall not far behind in third place. 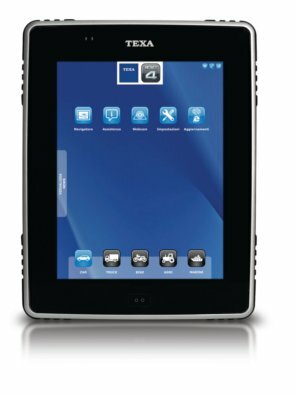 Vehicle Diagnostic specialists Texa have launched their latest unit, their “flagship” Axone 4. What makes this unit superior is its technology…lots of it! The impressive touch screen is an eye-catching 9.7” and has high quality graphics – an impressive 1024×768 resolution. The touch screen is all you will need, with the on/off and multifunction buttons being the only physical ones on the unit. What makes the Axone 4 special is its advanced technological equipment, with the ability to provide unrivaled assistance to the mechanic through its help center call functions. Texa can remotely access the vehicle, to make any required changes or inspections, all with use of an internet connection. Access to updates and online services are all available through Wi-Fi. The unit can also connect to a smartphone, allowing access whilst on a journey. Other features include a VGA camera and a huge database of tables. For a limited time, Texa are offering the Axone 4 at a special price and trade-ins with the earlier model, Axone 3, are being accepted. This type of equipment will reduce repair bills, vehicle fuel and workshop downtime and ultimately improve customer service. What Van? have revealed their top van choices in their 2012 Van Awards. The prize for “Van of the year” goes to the It’s proof that electric is the future and a fantastic option which won’t break the bank. A great feature of this van is it’s price- under £17000 and still offers the space that’s needed. Whilst this wouldn’t be suitable for every business, city-based companies and those not covering a huge daily mileage could really benefit. 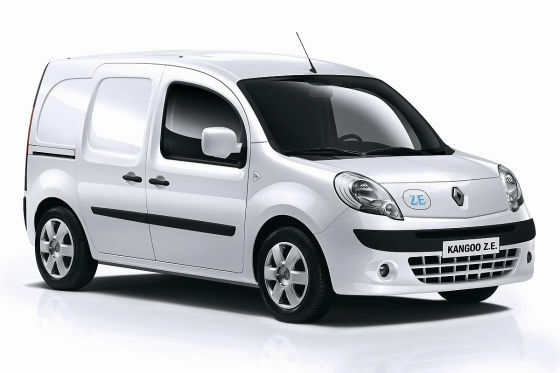 The Kangoo has two specifications for body length and a 44kw motor (similar to 60bhp). In traffic this van is excellent although not so suited to long distances as the battery normally lasts around 106 miles. One area to look at if you are interested in a purchase, is that the battery does not come included in the price, rather it is leased. There are different packages available though- something to suit everyone, with over twenty to choose from. By leasing, Renault will ensure 75% charging capacity and breakdown cover for dead batteries. Similar to the current Kangoo and, with a price to suit many budgets, there’s another great benefit to choosing this van- it’s relaxing drive due to the very low sound output, a calm silence in fact. This van is a great example of modern technological advances. 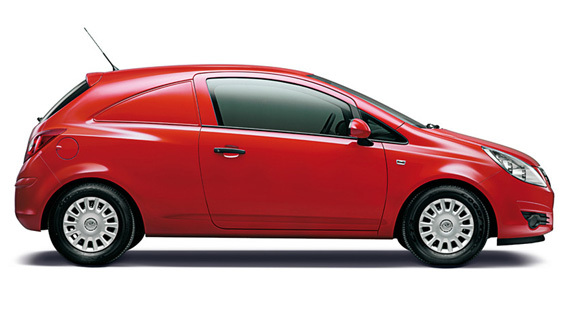 The best small van tag goes to Vauxhall Corsa Van, mainly due to it’s low emissions and fuel consumption. The award for light van was given to the Fiat Doblo Cargo with it’s improved fuel and payload consumption and a great rear suspension system. An enjoyable drive at a reasonable price. 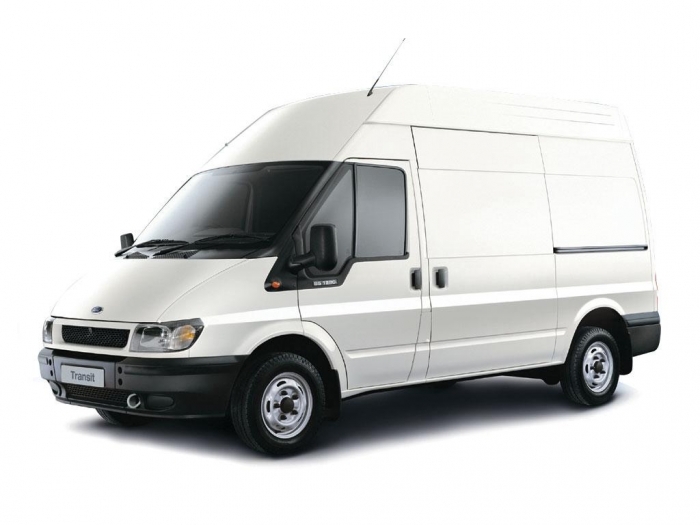 The best medium van award goes to the Euro5 Ford Transit van. Whilst it is a little pricier than it’s older version, Ford have made improvements to fuel consumption, noise and now has a new six speed gear box. For the best large van, the award goes to the Iveco Daily- a well built van with great handling. The best pick up goes to the VW Amarok, which copes with both on and off road terrains and all weather conditions extremely well. There is an automatic eight speed version available towards the end of the year. The best 4×4 van goes to VW Caddy Maxi 4Motion. As far as van conversions go, the Citreon Ready to Run takes top pick whilst the Vauxhall Ecoflex was deemed the best green van. Taking effect from November 2012, there will be a new EU legislation requiring all tyres to carry a label, indicating their performance in three relevant areas; fuel efficiency, wet performance and noise. Tyres can vary substantially in these areas and therefore the new legislation will give the consumer an opportunity to make an informed choice based on knowledge in these areas, in order to make a more accurate decision on what tyres are best for them. Tyre companies have already started to set to work on this, with a huge amount of grading needed between now and November to prepare the many thousands of tyres on the market in order to be in compliance. Many skeptics have critised the legislation due to the fact that it will be the tyre companies themselves with the task of grading their stock, rather than an independent body. However despite this, it’s extremely good news for the industry and consumers alike to have some set standards and a bench mark grading system. It is the intention also that this legislation will in years to come eliminate some of the poorer performing tyres, particularly in areas affecting safety. The label will look similar to those already being used on many appliances and new cars, with a grading system between A-G; A being the best and G being the worst. Wet grip is a critical area for tyre performance and what many motorists do not realise is that tyres vary hugely in this key area meaning that the braking difference between a quality tyre and a poor performing one can differ by as much as 10 metres in wet conditions. Some tyres are noisier than others. As per the new legislation, the level of noise emitted from the vehicle is required to be displayed, in decibels, on the label. Quieter tyres will make for a quieter driving experience and will also reduce noise pollution. Despite the skepticism around the usefulness of these labels, this legislation will revolutionise the industry, providing a useful way to compare tyres and therefore ensuring that motorists can make an informed choice when purchasing tyres and showing the benefits of choosing a quality tyre. Wonder if this will spread to other Van Parts? 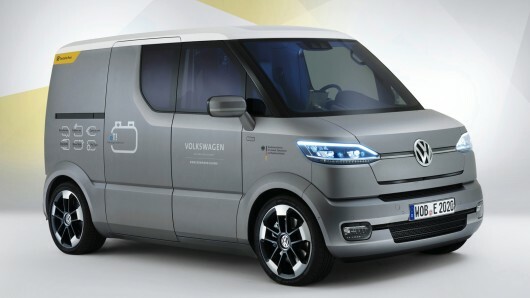 Whilst it won’t be hitting the showrooms any time soon, those clever Gurus at Volkswagen have unveiled something rather special this week, at this years Tokyo Motor Show, teaming up with the German Postal Service, Deutsche Post, and the University of Art at Braunschweig to bring to us it’s vision on the van of the future- the eT! mail van. This clever piece of technology will not only enable a huge reduction in fossil fuels used by the postal service, but will enable a postman to call it from down the road to come to his command! Volkswagen really are showcasing the maximum technology possible with this clever electric vehicle and see this as a break through in addressing future customer needs and technology advances. 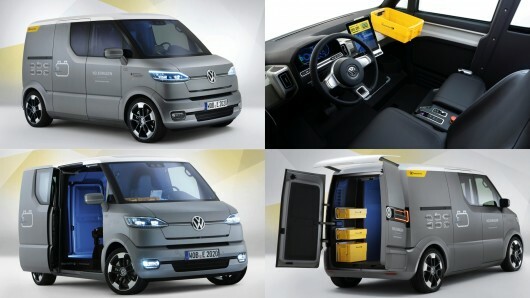 The van, powered by individual electric wheel-hub motors, features some really clever technology, not least that it can be driven semi-automatically, by standing up, from the passenger side or in fact without being present in the vehicle at all! The van for example would follow a postman down the street as they delivered mail from house to house, or drive to them from down the road with just a simple voice command as “follow me” or “come to me”. 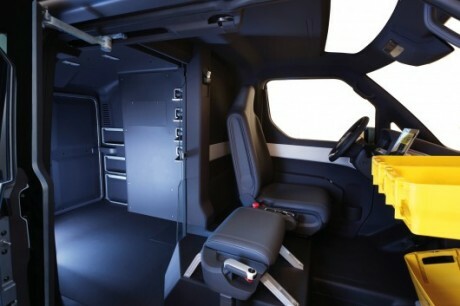 The driver will be able to use a “joy-stick” from the passenger side and also has a standing seat, both making deliveries faster and more efficient and unnecessary walking movements a thing of the past. This van is a taster of what we could expect from the leading van manufacturers in the future, a sign that technological advances and innovative functions are needed in order to change the way we work for the better and revolutionise the lightweight commercial vehicle market. Welcome to the very first installment of our blog! First of all, thank you for visiting our website – it’s much appreciated, and we hope you’ll be back time and again! Whatever you’re looking for in terms of new and used van parts, we’re very proud to say that we stock most manufacturers and makes, meaning you won’t have to search for long to find exactly what you need. Not only that but we pride ourselves on the service we offer, so if you need a part that currently isn’t listed, give us a call and we will try our best to source it for you! So why choose Van Parts 4U? Well, we have been trading since 2005 and know that choice is paramount to our customers. And there’s certainly a lot of that available to you when you choose to shop with us. Not only is our used van parts stock changing daily, we sell new and remanufactured van spares for most makes of light commercials. 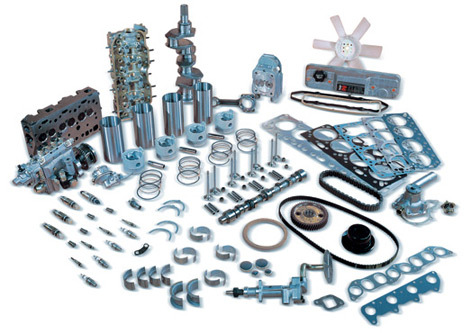 There are many special offers available every day of the week and, because we source and recycle excellent condition parts, we are not only great for the environment but great for your vehicle and your wallet too! We are very proud to offer you some of the most competitive prices around and, topped with excellent and speedy service, we keep our customers happy and coming back to us time and time again! If you’re ever unsure whether to buy online, why not give us a visit? We are based in Sandwich, Kent UK and would be very happy to welcome you to our premises, where you can view before you buy, giving you 100% confidence! But if the convenience of online shopping is your preferred option then rest assured that your item will get to you quickly and in perfect condition, no matter where in the UK you live. We also offer worldwide shipping so any destination is possible! Not only that, but all of our parts come with a 30 day warranty on used parts and a 6 month warranty on reconditioned van parts allowing you to rest easy. If you’re as passionate about vans as we are, then pop back to our blog regularly – we hope to keep you entertained and updated on all the latest goings on in the industry! You can also follow us on facebook and twitter where we will keep you updated with any special offers and news…you wouldn’t want to miss out now, would you?! Our customers are very important to us and we’d be thrilled if you’d take a moment to provide us with feedback on how you found your visit to our site – just drop us a line at sales@vanparts4u.com. We’d love to hear your thoughts on how we’re doing so far!